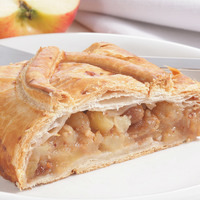 A simple and pleasant apple pie. No complexities, just apple and cinnamon straight into your face. when you want a healthy portion of cinnamon in your apple pie, but you want that cinnamon to still have a soft quality. This is borderline more cinnamon than I like, but the mix still was tasty and satisfying so I can't knock it. Nicely done.